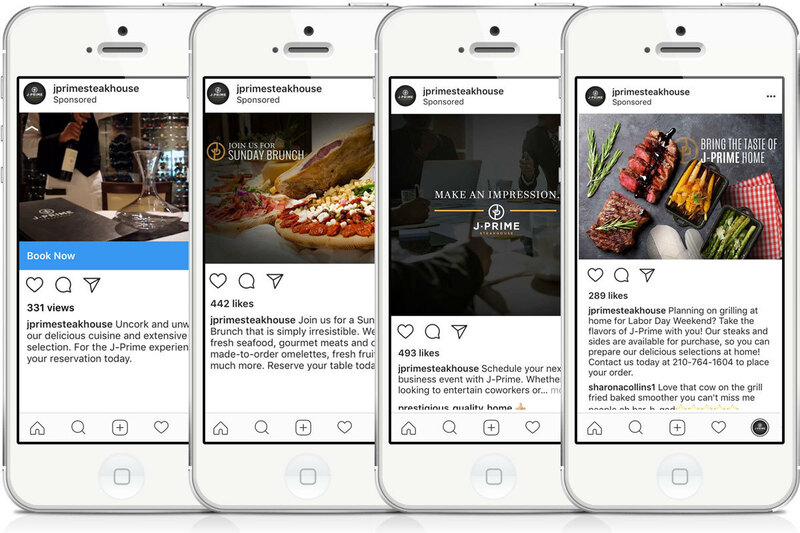 As a high-end steakhouse breaking into San Antonio’s culinary landscape, J-Prime Steakhouse needed to build their digital following from the ground up. We helped them find a quality audience by making the website, social media, print pieces, and email blasts all work together. J-Prime has an extensive menu with mouthwatering dishes, the capacity to host spectacular company meetings or private parties, and an unbeatable brunch that we wanted to showcase. Additionally, several events take place at J-Prime each week and are hosted by various brands. These events have limited seating and provide guests with a unique experience to enjoy beautifully paired appetizers, entreés, wine and spirits. In order to fill these seats and show off their foods and services, Facebook advertising, Instagram advertising, and email campaigns worked beautifully. 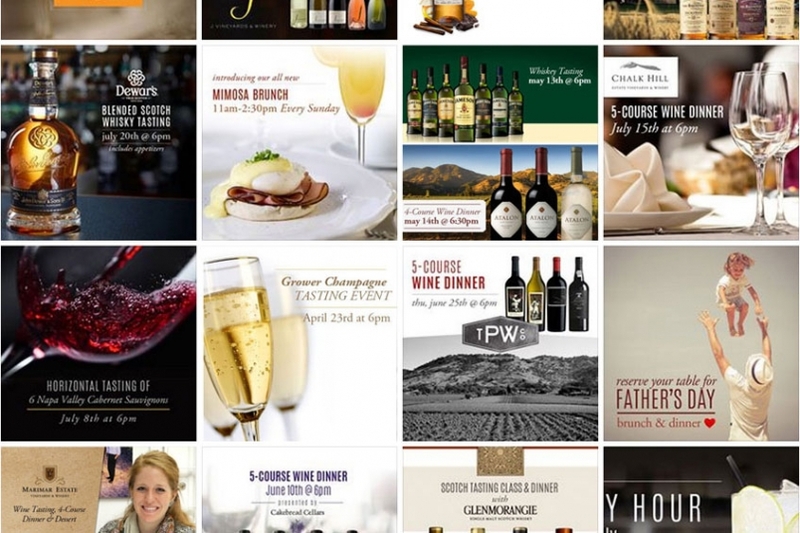 With the right targeting, imagery and message, we were able to make every J-Prime event a success! Hashtags make it easy for guests to share their J-Prime experience with the world and allows us to keep track of the action too! Tasting tickets for their events featured various hashtags and social media profiles to nudge each guest to not only interact with J-Prime, but to share the experience with their networks as well. In addition to Instagram and Facebook sharing strategies, we have taken advantage of Facebook’s paid advertising features to keep the action going on top performing posts. Throughout our Facebook efforts, we analyze how a post is performing and add dollars as needed. Event posts also frequently receive additional dollars. In addition to promoted posts to their current audience, we also created and managed Instagram and Facebook ads that allowed us to target a new audience with specific demographics in the San Antonio area. This is just a glimpse into how we’ve built and continue to build J-Prime’s social media following. If you’d like to start your digital marketing transformation, contact us!